Measuring Jug Euro Design comes in short form . These transparent jugs are made of polypropylene & are autoclavable with Non-drip spout. These jugs provide excellent contact clarity & are provided with excellent thumb grip on handle. 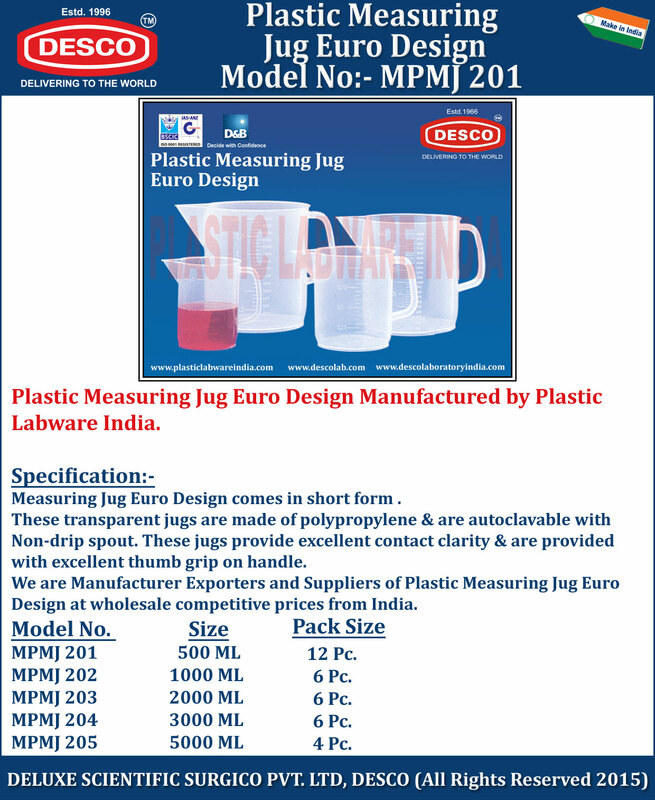 We are Manufacturer Exporters and Suppliers of Plastic Measuring Jug Euro Design at wholesale competitive prices from India. MPMJ 201 500 ML 12 Pc. MPMJ 202 1000 ML 6 Pc. MPMJ 203 2000 ML 6 Pc. MPMJ 204 3000 ML 6 Pc. MPMJ 205 5000 ML 4 Pc.